Several weeks ago the Wall Street Journal ran an opinion piece titled, “Why Italian Moms Are the Best”. So we can now add Italian mothers to the Chinese and French mothers who are raising children the best way. Apparently, the international motherhood competition has also expanded to Bolivian, Welsh, Fiji and Mongolian mothers in recently published books. The point is, when we talk about “best mothers” what are we really talking about? What are the values that can be identified in different styles of child-rearing? What are the goals of the various methods that are described as the “best?” Jokes are often told about Jewish and Italian mothers having to do with food and feeding their children. Mothers may worry if children are not “good eaters” – after all keeping children alive is our first responsibility. In some cultures, “plump” children are the best testimonial. The issues child-rearing methods focus on do reflect what different cultures consider most important. In our country the changes in attitudes and approaches over the years reflect cultural changes that have taken place. These changes often seem related to the role of authority. This is a distinction that has been noted, also, in the unfavorable comparisons that have been made recently between our child-rearing styles and those of other cultures. During the last century, in the years of the Great Depression and those following it, the aim of child-rearing was to train children as early as possible to conform to accepted modes of behavior. The impulses of children were unacceptable and were to be brought under control through strict training and parental authority. But, in fact, underlying repressive attitudes toward individual behavior was a social ideal. Behavior that promoted successful group living was admired. Behavior that called primary attention to the individual met with disapproval. Finding a balance between the rights and needs of the individual and those of the group, or larger society, is always challenging. In our society, that balance has shifted over time to a greater focus on the needs and rights of the individual, as well as to those whose rights in the past have not been of great concern. Many factors have brought about that shift. As far as child-rearing is concerned, one of these factors has certainly been the influence of child development research and newer ideas about the nature of children. Various theories of child development have focused on the needs of children. Along with those theories have come prescriptions to parents about the best way to meet those needs. The needs of the individual child became the highest priority for parents. Gradually, the goal of child-rearing shifted to a greater focus on the development of the individual child. The shift to an emphasis on the rights of the individual has also been expressed in many ways in the larger society. The idea that the balance between the individual and the social group is out of whack is part of the “culture war” that is prominent once more in an election year. Women, and their role as mothers, are caught in that war. Our history in America has been one of idealizing motherhood, but criticizing mothers. Recent criticisms of American child-rearing, supposedly stemming from research, but also expressed as unfavorable comparisons to other countries, fit into that pattern. Much of this criticism appears to reflect the idea that there is too much focus on the individual child, without enough being expected in turn from children themselves. It certainly seems to be true that parents struggle to find a balance between the needs of their children and their own needs. This is especially true for mothers who try to combine appropriate care of their children with their own need/right to work outside of the home. 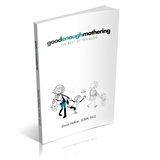 In my own work with mothers, I have found that many of the issues that arise in their interactions with their children do so because of the difficulty in finding that balance. The ambivalence that persists in our society about women’s proper role, the “war” that is actually still being fought about motherhood, has prevented mothers from getting in this country both the social approval, and material support they receive in other Western societies. Women, themselves, still seem to be struggling to fulfill some idealized picture of motherhood while retaining an ability to give appropriate consideration to their other needs as women. Parents are being asked to fix something that is actually part of an unresolved conflict in the country as a whole. That is an unrealistic goal for child-rearing – and for parents.